This was a very quick weeknight dinner that I whipped up for myself and the hubby. This Perfect Pasture ground beef is absolutely delicious so I wanted to keep the seasoning simple. I also like to take advantage of the great abundance of seasonal flavors. Let’s face it… basil and tomatoes taste better in the summer. Likewise, squash and cranberries taste better in the fall. Especially with generous sprinklings of rosemary. One final point… Chocolate isn’t seasonal. It tastes great any time of the year, or day for that matter. You’re welcome. Heat a medium cast iron skillet with a bit of oil or butter. In a bowl, mix together beef, rosemary, and salt. Form loosely into four patties. Place each patty in the hot skillet. Let cook about 3 mins each side depending on desired “doneness” (I form my patties really thick because I like a more medium-rare burger. 1 small butternut squash, peeled, seeded and sliced into thin-ish strips about 3-4 inches long. In a bowl, toss all ingredients until squash is coated. Lay squash flat on a baking sheet lined with parchment paper. Bake for 30 mins or so, until the flesh is tender. 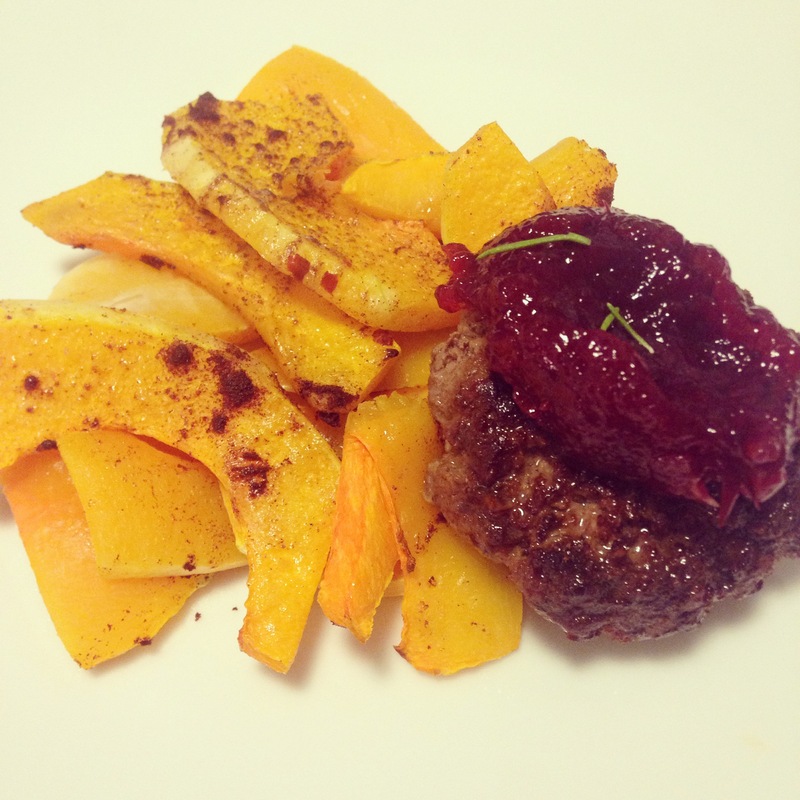 Previous Post An Inside Look at The Clean Plate’s Seasonal Cooking Class plus a Recipe!